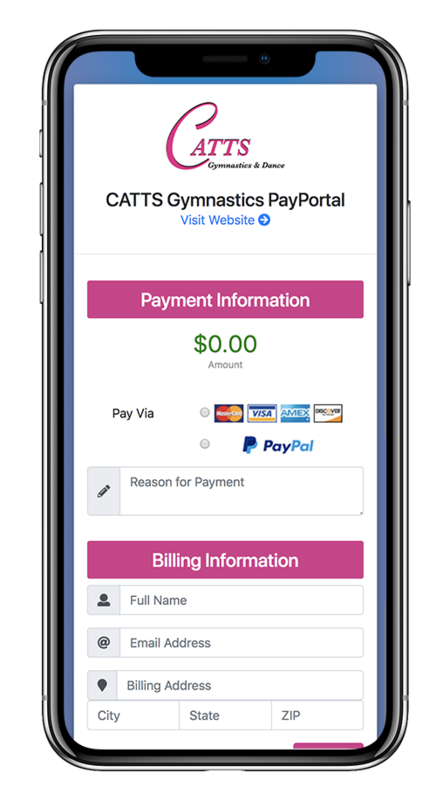 The easiest way to accept payments online through multiple payment gateways. 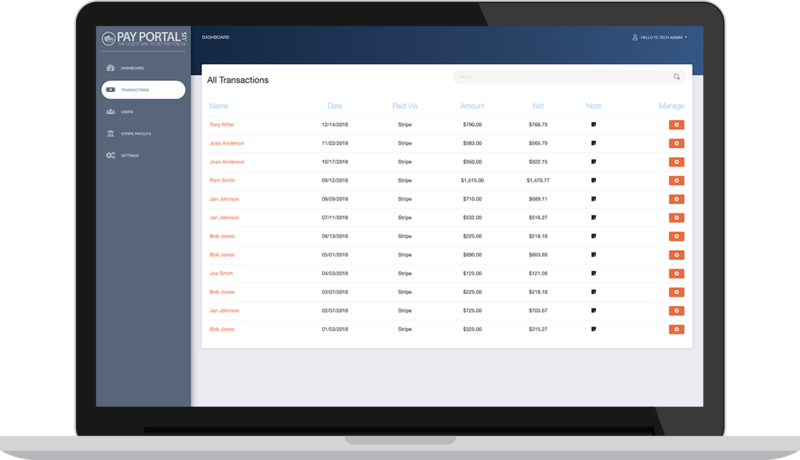 Your customers will love our easy-to-use interface that works great across all devices. Your PayPortal is customized with your logo and colors to give your customers a familiar look and feel. Your customers' credit card information is never stored on our servers. 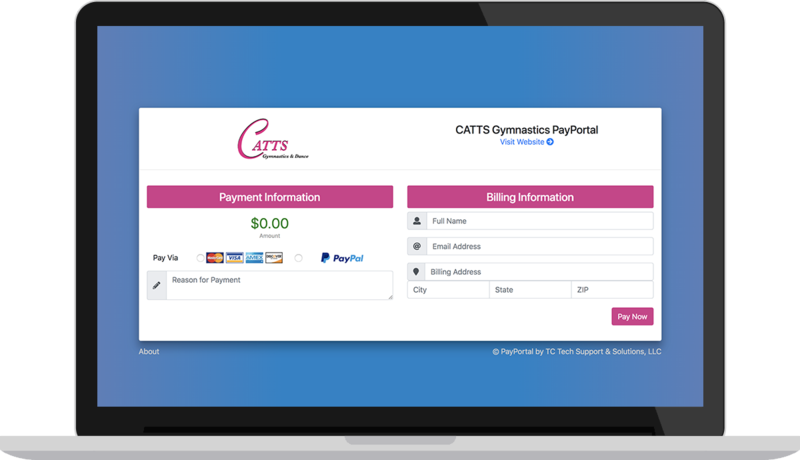 Add your logo and accent colors to your PayPortal and link your PayPal and Stripe account. Send your clients to your PayPortal's custom link or put a "Pay Online" button on your website or invoice. No more waiting for checks in the mail! Most transactions arrive to your bank within 3 business days. 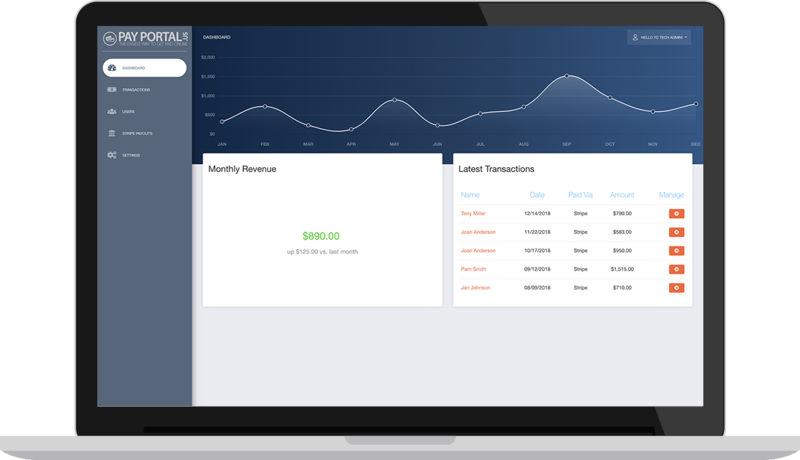 We charge a one-time setup fee of $150 to get your Portal up and going. There is a yearly fee of $75 to host your PayPortal and keep your unique link active. Currently, Stripe and PayPal are the only gateways supported. However, if you wish to use a different payment gateway, please contact us and we will see what we can do! How do you connect with these payment gateways? We utilize each platforms' REST API to securely transmit payment information. Do you charge any fees per transaction? We do not. However, PayPal and Stripe currently charge 2.9% + $0.30 per transaction. Can I pass the transaction fees to the customer? Yes! Our application has the ability to charge the customer an "online conveinence fee" to offset this cost. How do customers access my PayPortal? We can provide you with a unique subdomain (e.g. yourbusiness.payportal.us) or you can point your own subdomain (e.g. payments.yourdomain.com) to us! © PayPortal.us. Powered By TC Tech Support & Solutions, LLC. 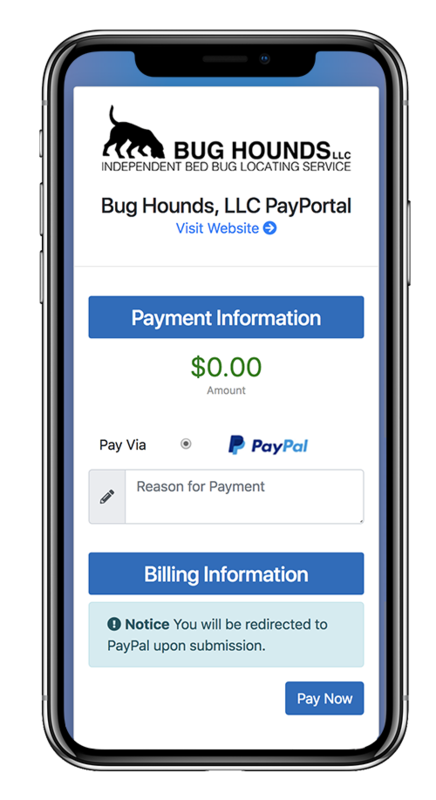 The PayPal name and logo are trademarks or service marks of PayPal, Inc. or its affiliates in the U.S. and other countries. The Stripe name and logo are trademarks or service marks of Stripe, Inc. or its affiliates in the U.S. and other countries.